There was something so arresting about this beautiful simple dessert brought by Andrea Hensen and her creative collaborative of food arttists to our recent supper club. When they first skimmed the skin off the long watermelon, someone thought it was a ham! But oh no! 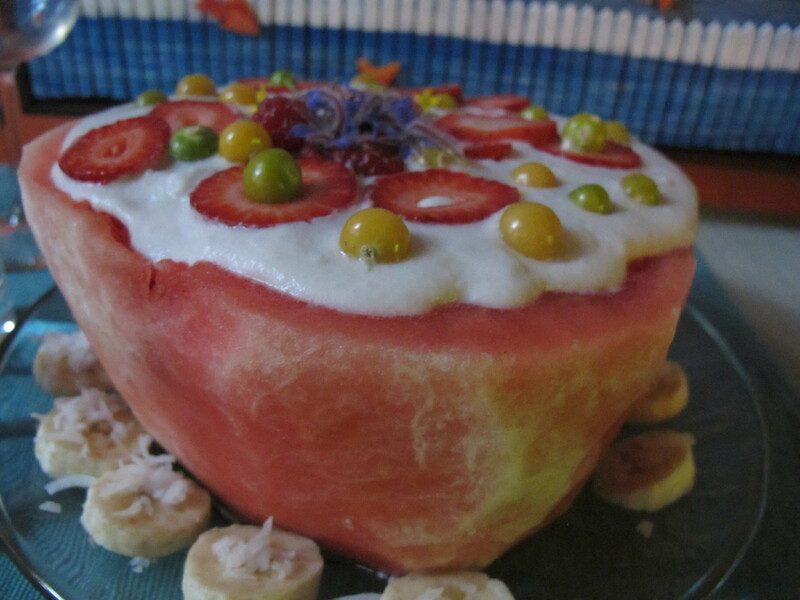 It was a glorious watermelon cake. Cut a long seedless watermelon in half and remove the skin. 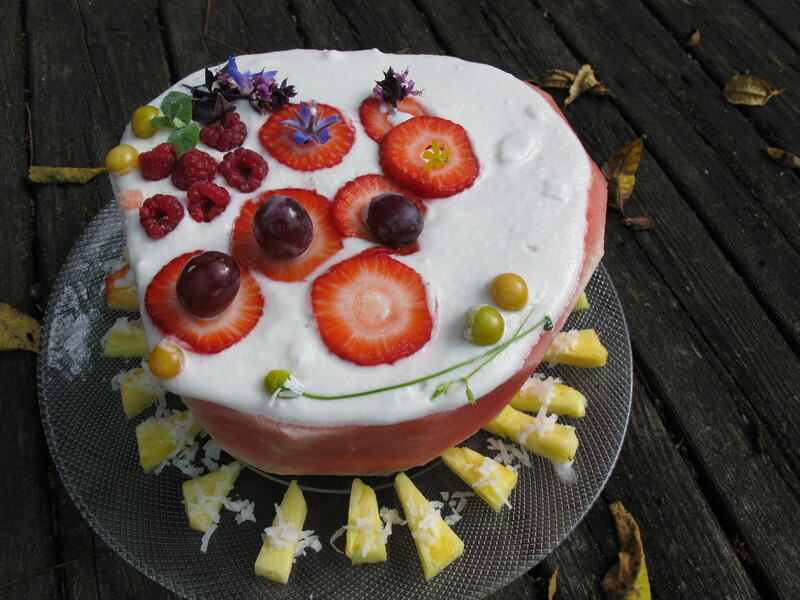 Shape each half into a cake shape by cutting a smooth bottom and top. Set it on a serving plate and slather the top in coconut cream. See a tutorial for that here. 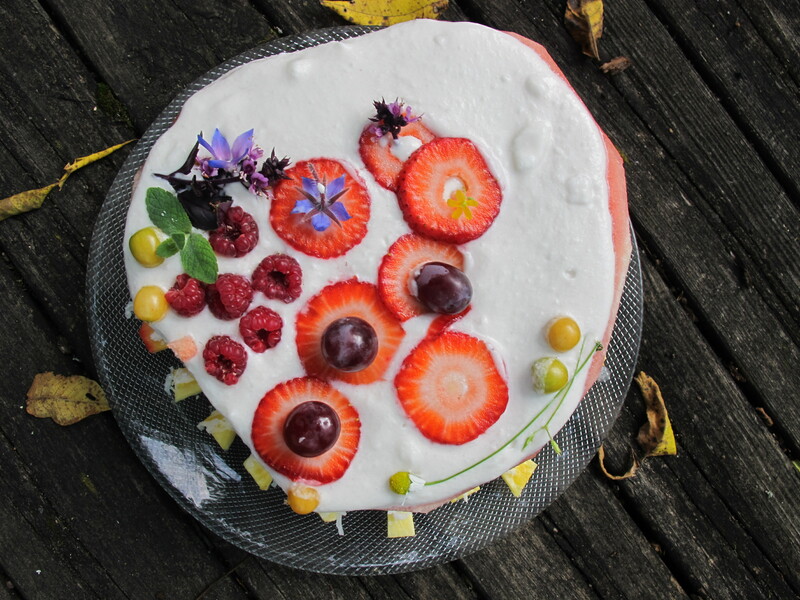 Then, if you are an artist–like Andrea and her friends–you find your inspiration in sliced fresh fruit, coconut and edible flowers. I could say more, but a picture is worth a thousand words.